It’s all hands to the pump at Paul Gerber’s workshop, where they’re working on Paul’s new self-winding movement that’s destined to drive our ochs und junior timepieces. 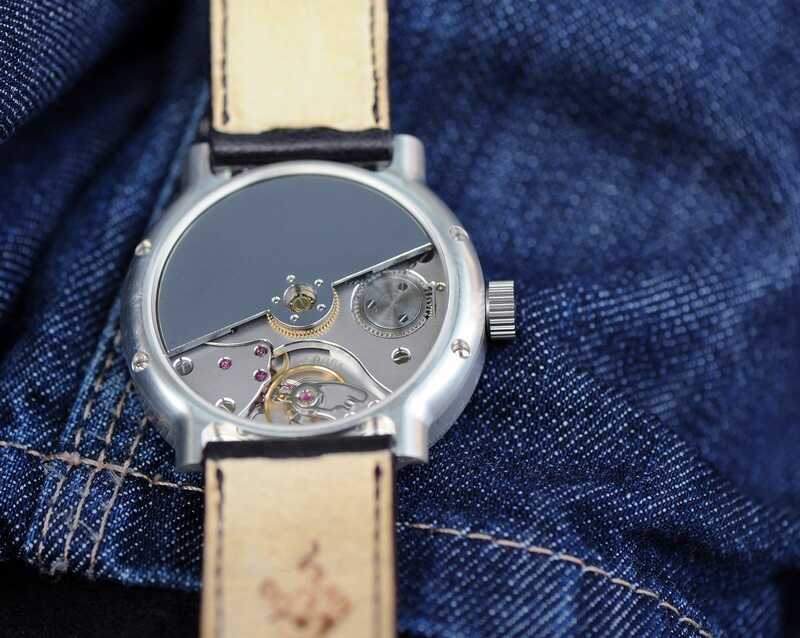 The new calibre is a full 35mm in diameter. The energy delivered by the solid white gold rotor is fed into two mainspring barrels, providing a power reserve of around 100 hours. The bridges and plates are glass-bead blasted. The flanges are hand-chamfered and polished. The screws are flat-polished – even the edges of the slots are milled. Gerber not only uses his new CNC machine to manufacture the components for his mechanism – he also uses it for Ludwig’s calendar module, the solid white or red gold dials and the gold hands.